An interview on the craft of comedy with the directors of the Bristol Improv Theatre (BIT), soon to be the UK’s first improv theater! 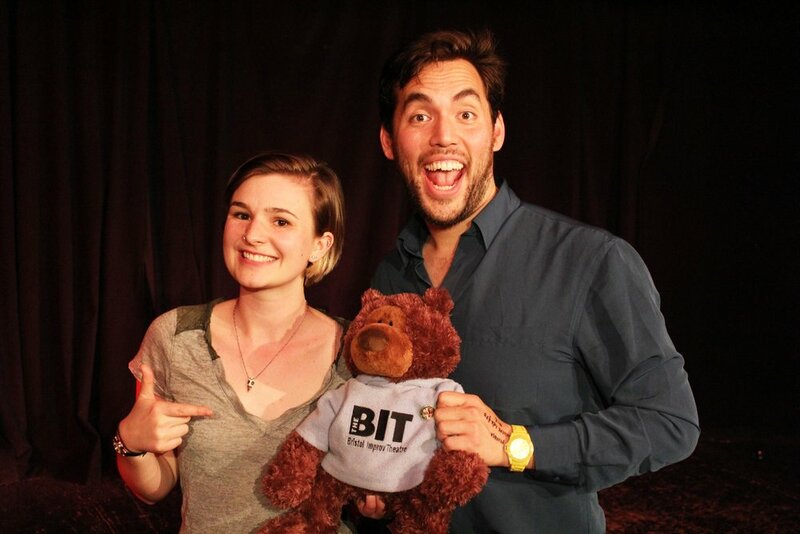 On this episode, I speak with Andy Yeoh, the Theatre Director of the BIT and Caitlin Campbell, the Assistant Theatre Director of the BIT who are also instructors with the BIT theatre school, performers on the BIT house company, Degrees of Error, and two of the sweetest human beings. We discuss the BIT’s focus on building community (and the general “skillshare” culture in the British improv scene), BIT’s course structure and teaching approach derived from viewing improv as a process, their personal scenework approach to balancing strong offers with emotional discoveries, and the challenges of buying real estate in the UK. To contribute to their fundraising campaign, navigate to: buildthebit.com. Recorded in studio in Pittsburgh and Bristol, UK. For past episodes, visit http://brianmgray.com/podcast. Interview with comedian, actor, voice artist and co-founder of the edgy, dark and surreal sketch comedy troupe Kids in the Hall, Kevin McDonald. Kids in the Hall brought us 5 seasons of ground-breaking sketch comedy, the feature film Brain Candy, live tours, and mini-series Death Comes to Town. I spent my formative years watching Kids reruns after school, and learned that a lot was possible with sketch comedy. I was delighted to meet Kevin and learn that he is not only an incredible talent, but also kind, generous and humble. Kevin and I discuss the process by which the Kids wrote a new weekly sketch show before the TV series (and to some degree during and after) by improvising pitches to refine them into sketches, the dynamics of the Kids writers’ room that led to such gifts as their inspired monologues, and the confidence of experience that allows Kevin to improvise with such ease. After the interview, we improvise a short scene and Kevin describes how he might instruct students to write it into a sketch, then Kevin takes questions from the audience. Here's video of our improv. Matt Holmes interviewing Shai, his partner from the audience at a Matt & performance at Arcade Comedy Theater in Pittsburgh. My latest interview features Philly native, 15+ year improv veteran, co-founder of renowned Philadelphia improv team Rare Bird Show, and creator of a show in which he improvises a 20- to 45-minute long form set with an audience member who has never done improv before, Matt Holmes. His show–Matt &–has enthralled me every time I've seen it, enough that I helped bring him to Pittsburgh and enjoyed lots of shop talk at my kitchen table. It took a few months to get him on the show. Matt and I talk about the fascinating strategy he has to prepare to improvise with non-improvisers, his 3 simple steps to fun improv, and the big ideas that are occupying his mind right now. Note: this is another episode recorded remotely, and sound quality is not always as good as I'd like it throughout the episode. Find more about Matt at http://www.mattandimprov.com. Brian and Chris talk about how all of his varied pursuits are filtered for him through a lens of comedy and specifically the supportive and collaborative nature of improvisation, how he has brought and maintains a positive and nurturing atmosphere to both of his theaters (on stage and off), how he and his staff build their own language of improv through metaphor and nomenclature, and much much more. Then we play 3 scenes focusing on like characters at the top and "heighten or die." July features an interview with 20+ year improv veteran, author of the book author of Directing Improv: Show the Way By Getting Out of the Way, and Educational Director at The Institution Theater, Asaf Ronen. Asaf has taught improvisation in Canada, Great Britain, Norway and in twenty-seven of The United States. His directing credits include the all-girl group goga, the improvised comic book adventure show Ka-Baam! 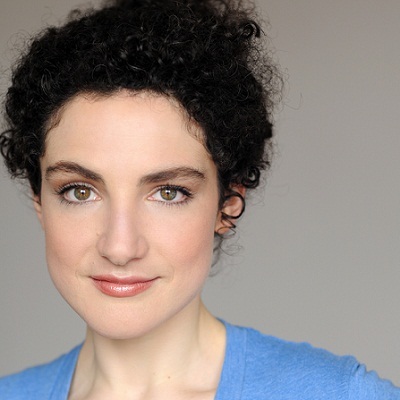 !, and Death in the City, a dramatic longform improv piece, at the NY Fringe Festival. Brian and Asaf talk about how he diagnoses improv scenes, choosing the fun script, the philosophy of The Institution, and how his perfect improv scene starts. Then we play a really fun genre scene with high emotional stakes! Thanks to The Hideout Theater for hosting us in Austin. April features an interview with comedic writer, actor and storyteller, Kevin Allison. Kevin’s first appearance into the public spotlight was on the extremely bizarre and beloved MTV sketch series The State. He is now the host and curator of RISK!, one of one of the Internet’s edgiest storytelling podcasts “where people tell true stories they never thought they’d date to share” and the head instructor of The Story Studio where storytelling is taught to everyone from performers to executives. Brian and Kevin discuss the unique culture of The State and how it reflected in their comedy, their writing process, Kevin's discovery and love of what happens when ordinary people talk about extreme situations onstage, and how he prepares a story for a RISK! event. March features an interview with Aaron Kleiber. Aaron recently made his national television debut on “Gotham Comedy Live” with host Jim Bruer and has been a requested feature performer across the country for Bob Saget, Jim Breuer and Steve-O (to name a few). He has appeared on TV, film, numerous national commercials and produced, wrote and performed in the award-winning independent films Captain Blasto and A Great Disturbance. Aaron studied and performed at the Second City in Chicago and improvises with the Arcade. Brian and Aaron discuss Aaron's sense of humor developing into his stage persona, his process of developing a premise into an onstage story or joke, and his many performance modes: acting, improvisation, stand-up, writing. Brian and Aaron improvise two short scenes. Thanks to Zach Simons for audio production and tech, Arcade Comedy Theater for hosting the show, Scott Peters for providing Aaron's clip from Escape from St. Quentin's and Randy Kovitz for providing Aaron's clip from Lightweight.